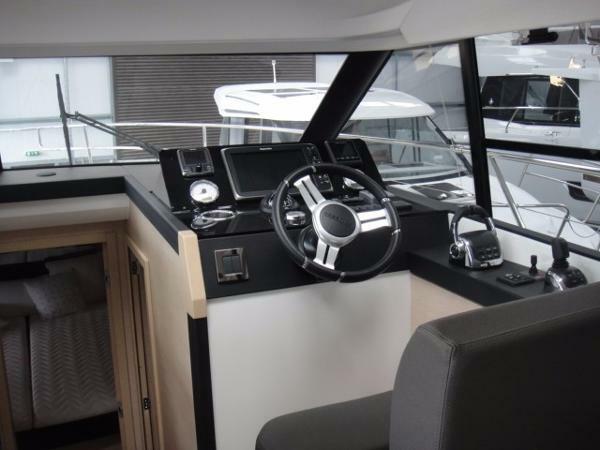 New Prestige 420S available from stock. 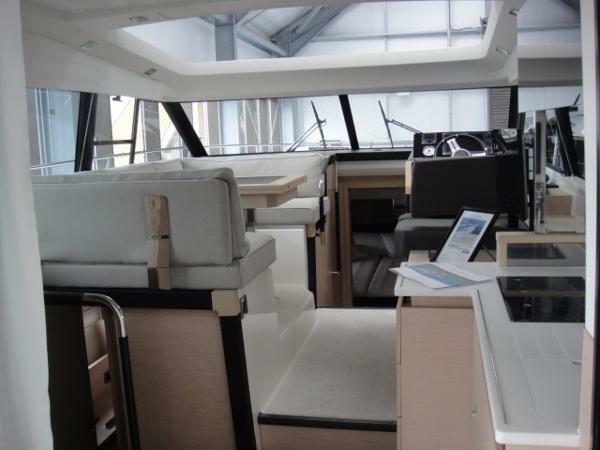 This model is a 2016 specification Prestige 420S and was exhibited at the Southampton Boat Show. She has been on display in our showroom and is offered in as new condition. 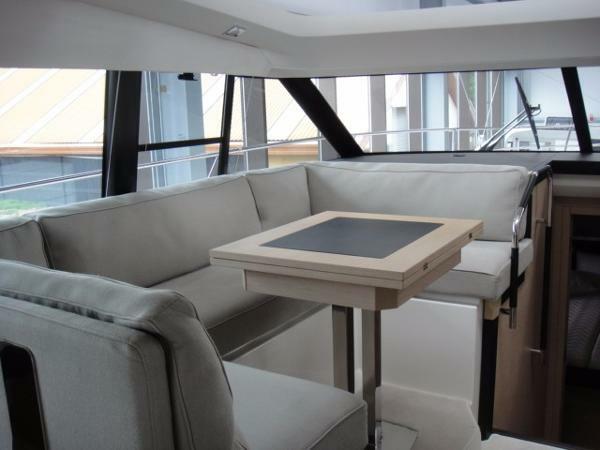 Powered by twin Volvo Penta IPS 500 (370hp) diesel engines for outstanding maneuverability and power, this boat also has cockpit controls for the IPS pods.